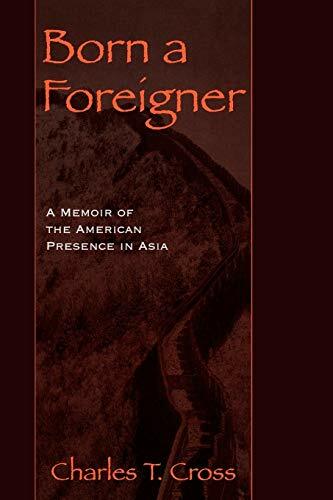 Part memoir, part diplomatic history, Born a Foreigner traces Ambassador CrossOs personal odyssey as a boy born in Beijing to missionary parents, a teenager under the Japanese occupation of North China, a Japanese-speaking Marine Corps officer in WWII, and as a diplomat posted to sensitive areas throughout the world. CrossOs authoritative and invaluable account of his Vietnam experience as chief of CORDS in I Corps adds significantly to the literature on the Vietnam War. Covering the long sweep of historical events in Asia from revolutionary China in the 1920s and 1930s to the full normalization of Sino-American diplomatic relations in 1979 and their aftermath in Taiwan, CrossOs memoir will interest anyone seeking an insiderOs view of U.S. relations with Asia.